From breakfast to side dish recipes, dessert and drink recipes, here are 15 of my favorite gluten-free Thanksgiving recipes! We’re officially two weeks and some change away from Thanksgiving! Raise your hand if you’re ready to stuff your face with mimosas, Party Potatoes Deluxe, mimosas, turkey, and all the Gluten-Free Chex Mix you can get your hands on? Did I mention the mimosas?! Sorry, I had my first mimosa in over a year last weekend at a friends bridal shower and it was like drinking the nectar of the Gods. There’s just something about mimosas! I’ll stop saying mimosas now. 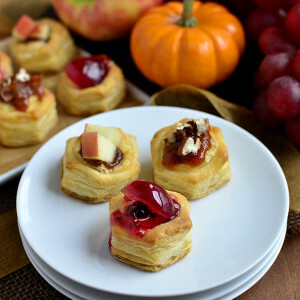 Anyway, today I’m excited to share my menu ideas for a gluten-free Thanksgiving. Yes, it can be done! And no, the dishes on said turkey-day menu don’t have to be expensive, taste weird, call for hard to find ingredients, or be off-putting to your gluten-eating friends and family. For these reasons I will NOT be posting the Gluten-Free Pumpkin Bars I’ve been trying extremely unsuccessfully to perfect this week. You’re welcome. ? 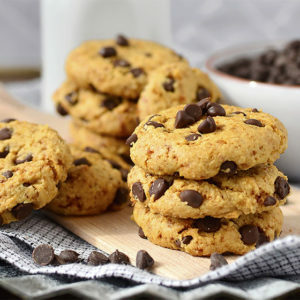 That said, I’m super proud that the following 15 recipes are not only safe for my fellow gluten-free peeps to eat, but could pass as “gluten-full” to anyone who takes a bite. Maybe it’s because I’m so far in it, but I feel like a ton of people have a friend or family member who needs to eat gluten-free due to a Celiac Disease diagnosis or because it just makes them feel better to cut out gluten. If you’ll be cooking for someone who needs to eat gluten-free this Thanksgiving, pick any of these breakfast, appetizer, side dish, or dessert recipes knowing they won’t get sick under your watch. Just be sure to double check all ingredients, use unscratched stainless steel cookware, line bakeware with foil and/or parchment paper, and use a new, never been used cutting board to ensure there’s no risk of cross contamination. And if you have questions, ask the person you’ll be cooking for – trust me they’ll be happy to help! 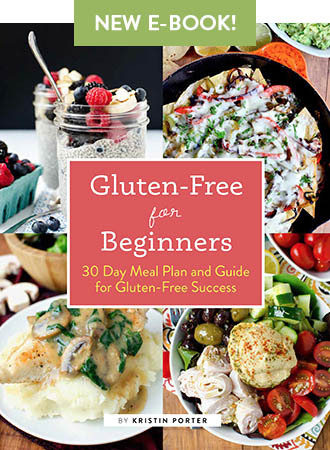 If you’re the one that needs to eat gluten-free, first of all hi and I’m so glad you’re here. 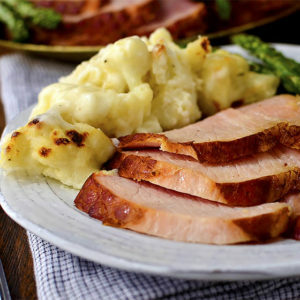 Feel free to pick and choose a few dishes to pair with a golden brown, oven-baked turkey and voila – you’ll have one heck of a satisfying, gluten-free Thanksgiving dinner. Every year on Thanksgiving my Dad makes asks everyone gathered around the table to share what they’re thankful for. This year I’m thankful that although I have an autoimmune disease, it’s one I can manage through diet. I have a close friend whose family is dealing with the unthinkable in regards to a health issue which has really made me refocus on the fact that although I would never choose this life for myself, it could be so much worse. Any life that allows me Caramel Apple Crisp is one to celebrate! Of course I’m also thankful for these two little turkeys!! Man oh man, I’m not sure how I got so lucky but I’m definitely counting my blessings this year (including being able to call an incredibly talented photographer a close friend – if you live in the Minneapolis and/or Central Iowa area, be sure to give Lindsey Koch a buzz to take your family photos – she is SPECTACULAR!) Nothing makes me more thankful than to be Mama to these two precious boys. ❤️ With that, happy Thanksgiving meal planning from us to you! 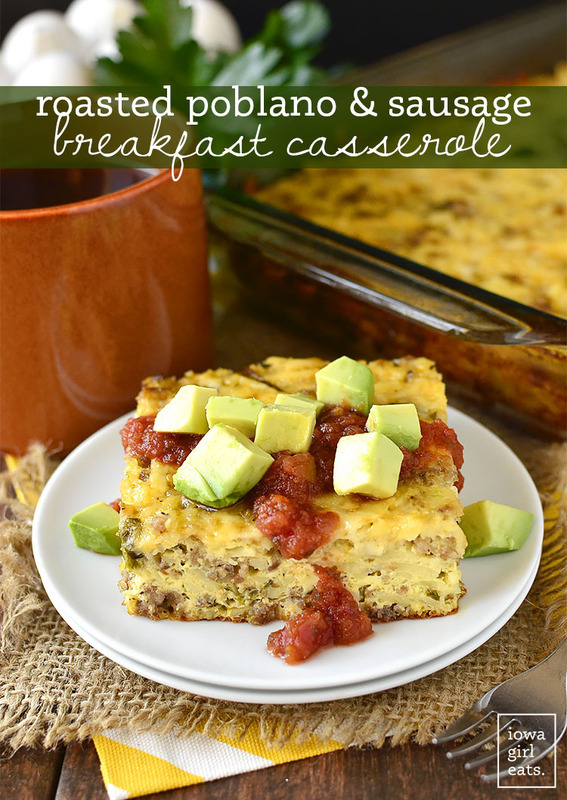 The breakfast casserole recipe that won’t die!! 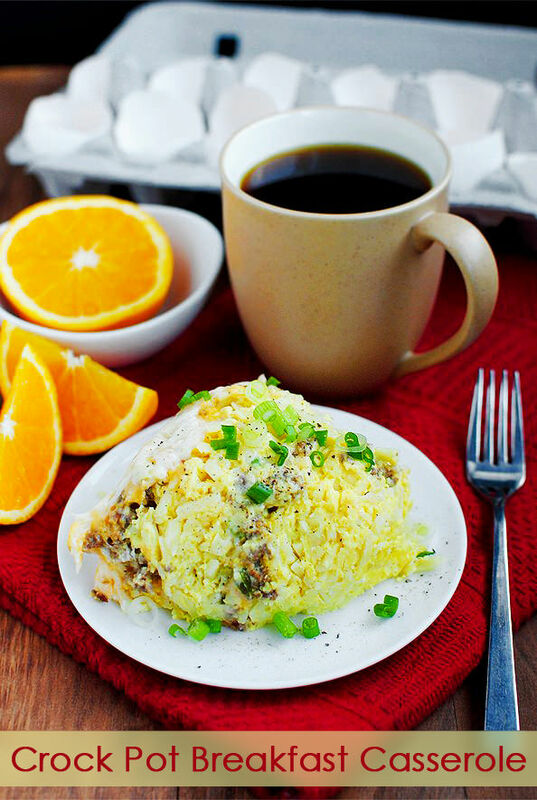 Seriously I’ve waved this Crock Pot Breakfast Casserole in front of you before every major holiday, every year since 2012, and I just can’t stop because it is so, so easy and delicious. Assembles in minutes, cooks in just a few hours, and everyone will love it. Even if you’re only feeding 3-4 people, make the full recipe because the leftovers heat up wonderfully. I made a batch for the hospital when Cameron was born and had it in there every morning. Filling and satisfying! If you’re looking for a little changaroo in the breakfast department this Thanksgiving, try my Roasted Poblano and Sausage Breakfast Casserole which can be assembled the night before then baked the next morning. Poblano peppers are not spicy, so this casserole is family friendly, but it just has a little something extra over traditional breakfast casseroles. 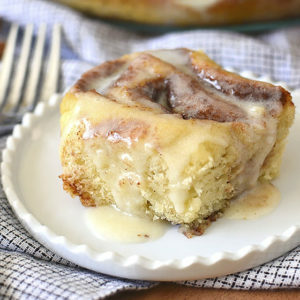 Forget cinnamon rolls (ok pretend I didn’t say that – still got mad love for you, CRs!) Gluten-Free Zucchini Coffee Cake is where it’s at if you like a lightly sweetened treat for breakfast or brunch on Thanksgiving morning. This coffee cake is super dense and moist, and full of cinnamon and spice. I am OBSESSED. Already designated a loaf in my freezer to thaw for the big day! 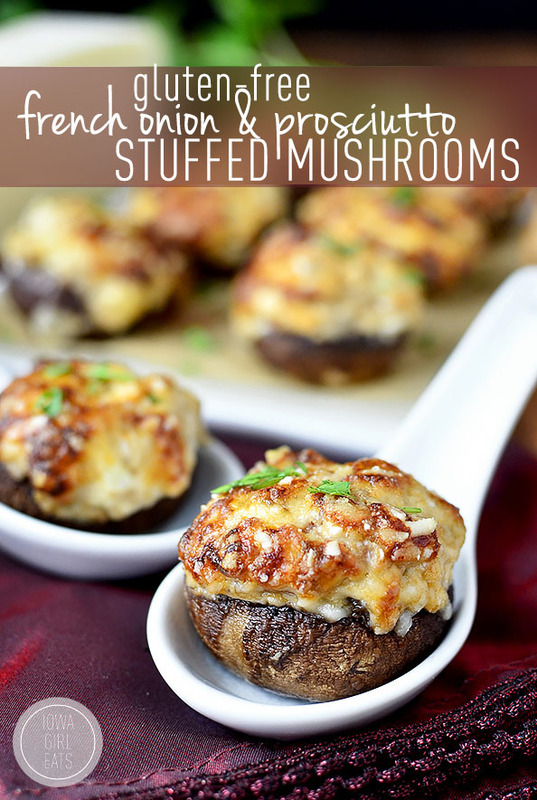 If you need a nibble for cocktail hour or something easy to serve pre-dinner, try my Gluten-Free French Onion and Prosciutto Stuffed Mushrooms which taste like French Onion Dip spiked with prosciutto. OH YEAH. It’s all about that parmesan cheese crust, baby. 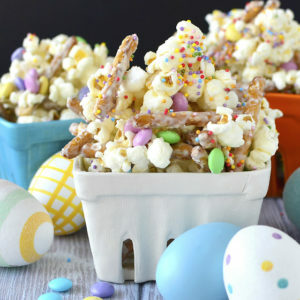 No holiday gathering would be complete without a big crunchy batch of Gluten-Free Chex Mix, which is super easy to make gluten-free, and dairy-free too if you need it. 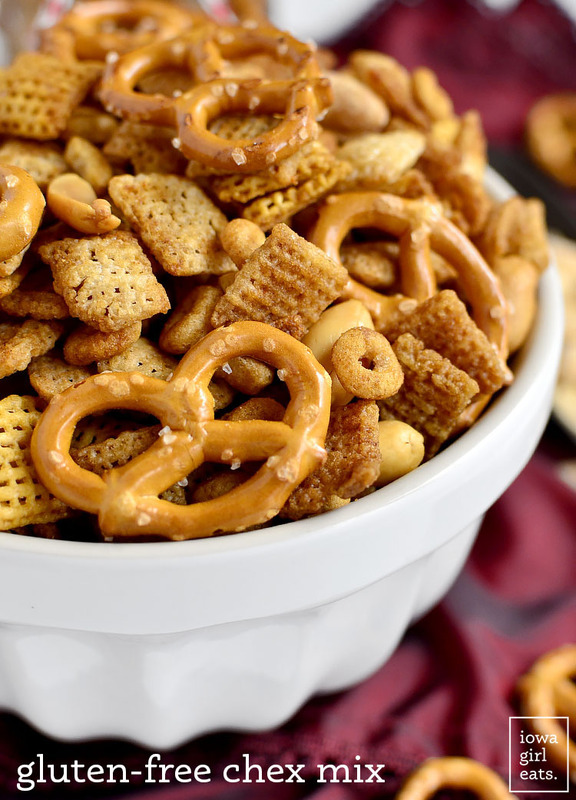 I remember many a Thanksgiving when I went into dinner already full from snacking on Chex Mix all day – no regrets! One of the easiest appetizers you can set out for nibbling on before a holiday meal or during cocktail time is a cheese platter. 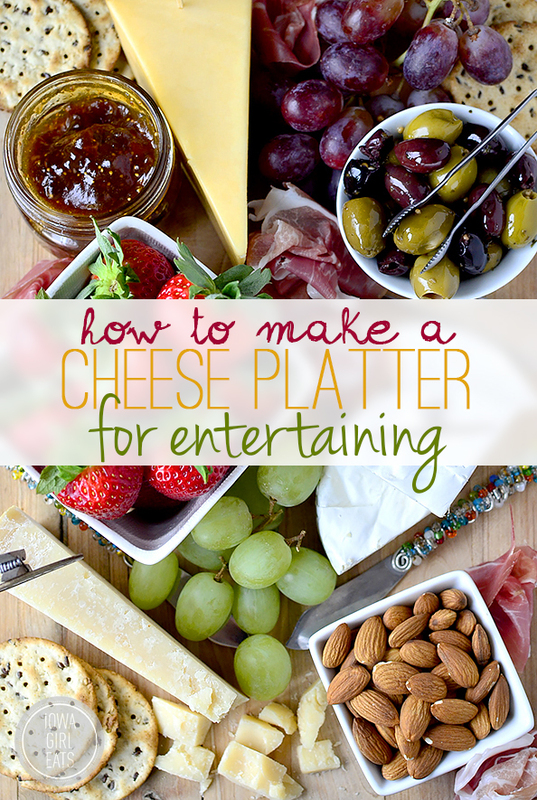 In my “How to Make a Cheese Platter for Entertaining” post I give you my best tips and tricks for making a well rounded cheese platter with different types of cheeses and sides that will delight your guests. Definitely a meal stealer! 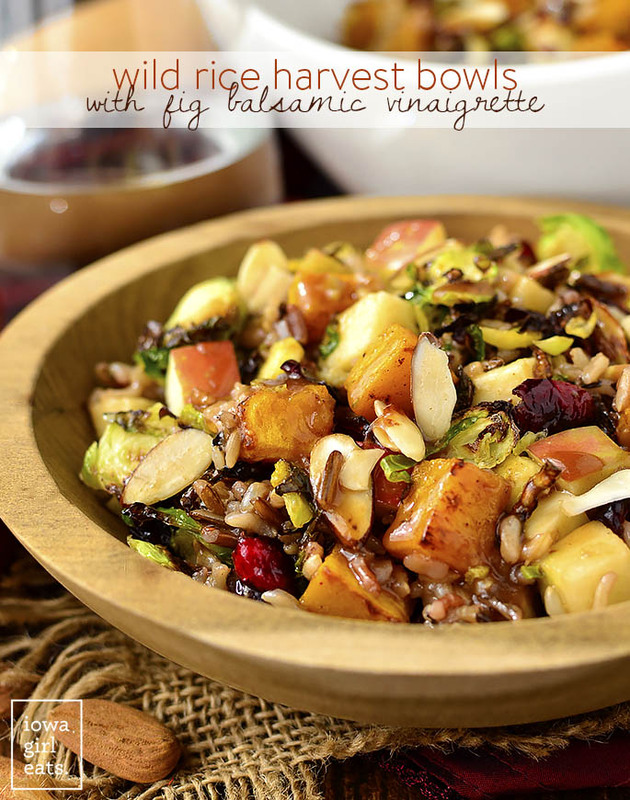 That is to say, Wild Rice Harvest Bowls with Fig Balsamic Vinaigrette is full of yummy fall flavors and will be a hit at the Thanksgiving Day dinner table. Bonus: you can chop/prep the majority of the salad elements a day ahead of time, so you can assemble, dress, toss, and serve in just a few minutes before eating. 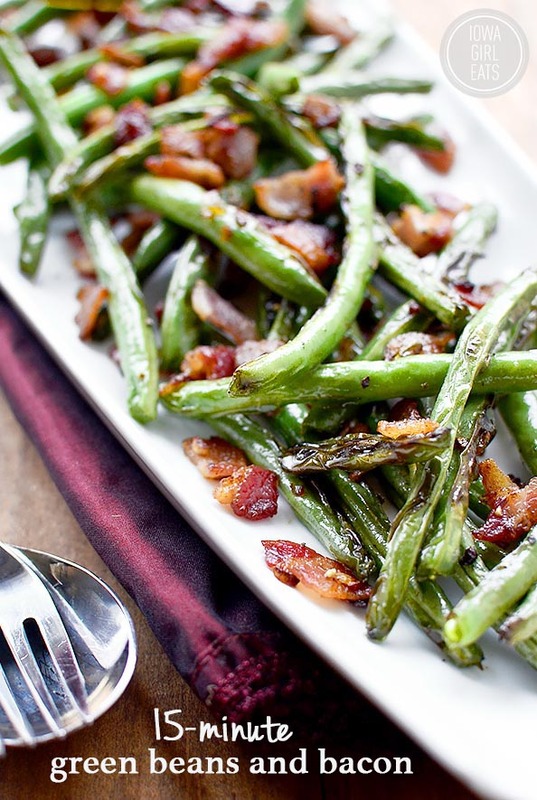 My Mom has been making Green Beans and Bacon on Thanksgiving for as long as I can remember. The dish takes just 15 minutes to make, is super easy, and speaking from experience, nothing drives people wild like the smell of sizzling bacon and onions. 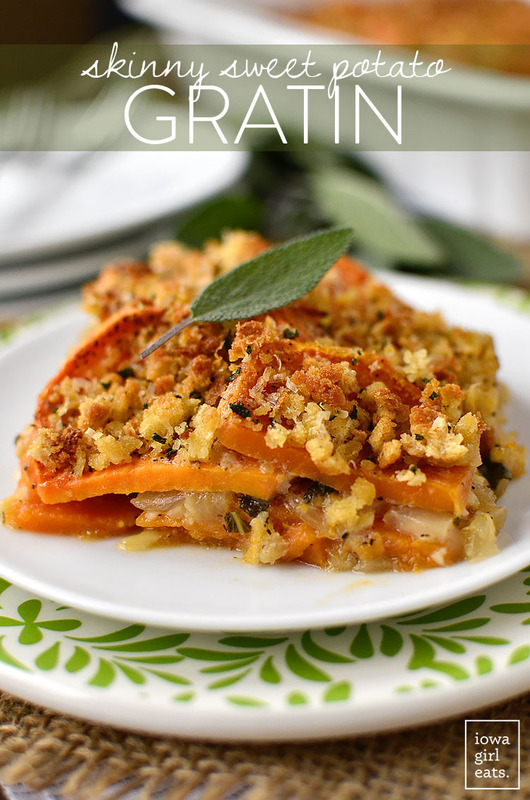 Feel free to take two scoops of something sinful, because you can balance it out with Skinny Sweet Potato Gratin. 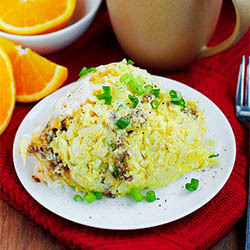 Normally gratins are made with tons of cheese and cream but this lighter version is, well, light on calories without sacrificing any flavor. Totally delicious. 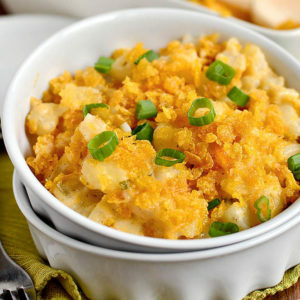 Speaking of two scoops of something sinful – it will be hard to stop at just two after your first bite of Gluten-Free Party Potatoes Deluxe. One of my all time favorite dishes in general, my Mom has been making it for every single holiday and special occasion all my life. Thank goodness it was easy to make gluten-free! 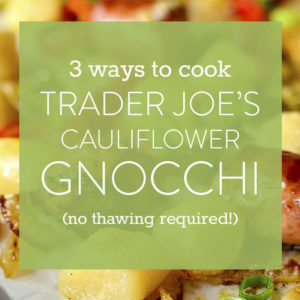 This is a must-have dish for the holiday season. 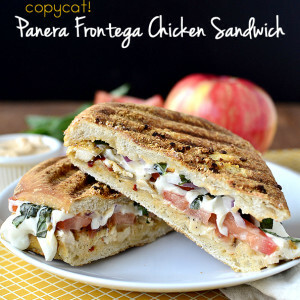 One of the most popular recipes here on IGE! 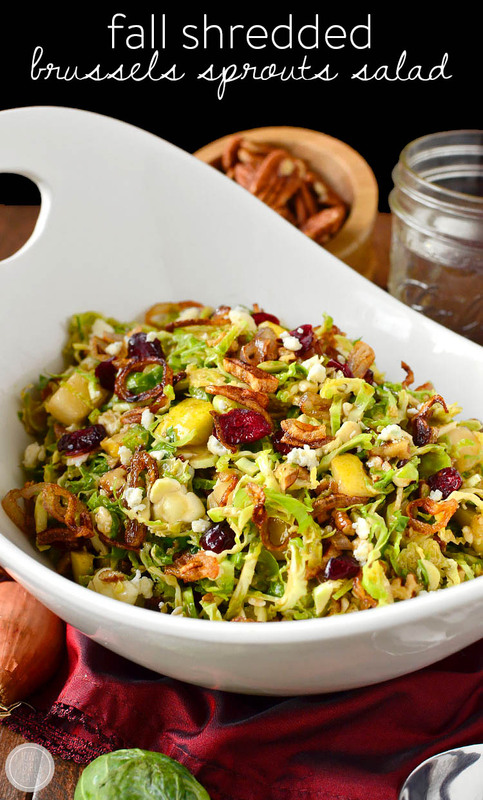 Fall Shredded Brussels Sprouts Salad is like a party on a platter. 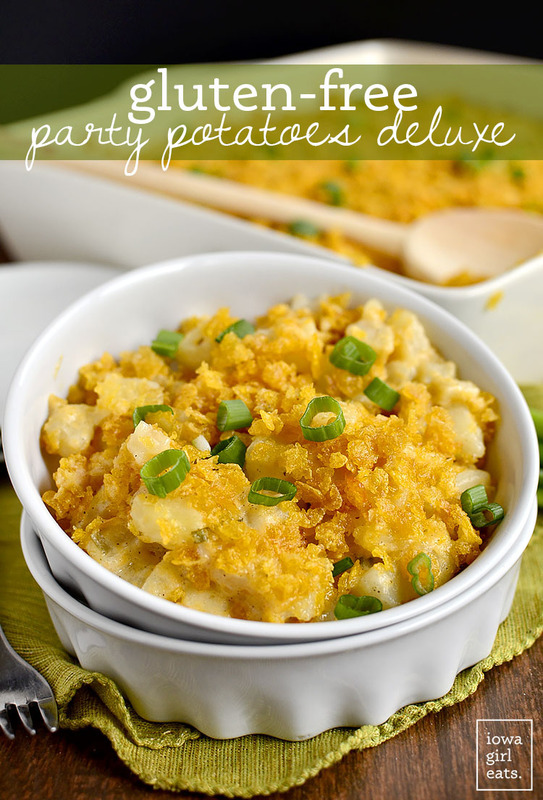 So many of you have made this for past Thanksgiving Day meals and declared it a smash hit. Definitely give it a go this year if you haven’t already. 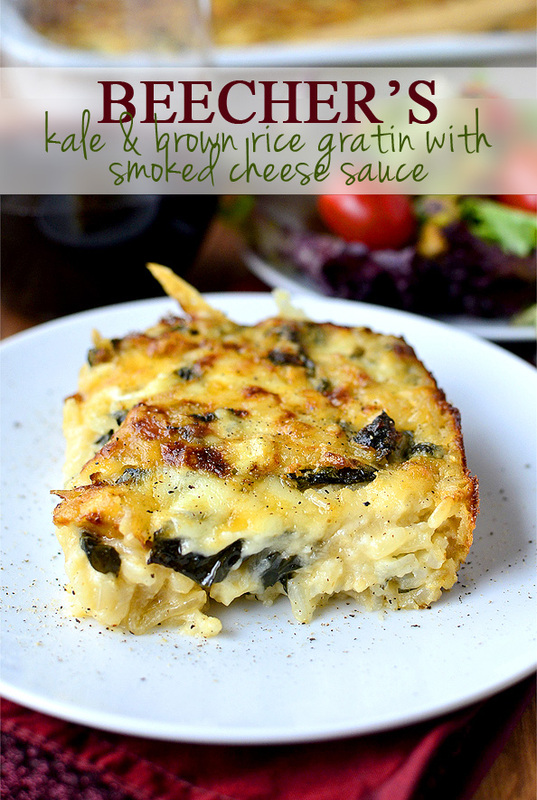 If your family serves macaroni and cheese at your Thanksgiving Day meal, try swapping it out for my Kale and Brown Rice Gratin with Smoked Cheese Sauce. 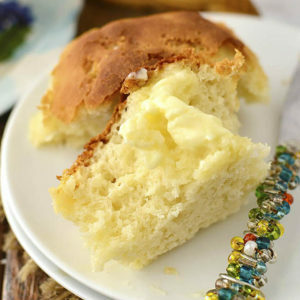 SINFULLY, ridiculously delicious. Tip: check your grocery store’s speciality cheese area for the smoked cheese…then buy double the amount you need because it is so good for snacking. Every couple of years my Mom switches up the mashed potatoes recipe she serves on Thanksgiving. 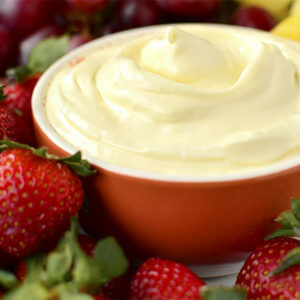 Some years she’ll go heavy on the butter, other years she’ll try cream cheese, etc. Keeps things interesting. Anyway, if you like to do the same then you’ve got to try my Sour Cream and Dill Mashed Potatoes. Super, super creamy and the dill is very subtle. 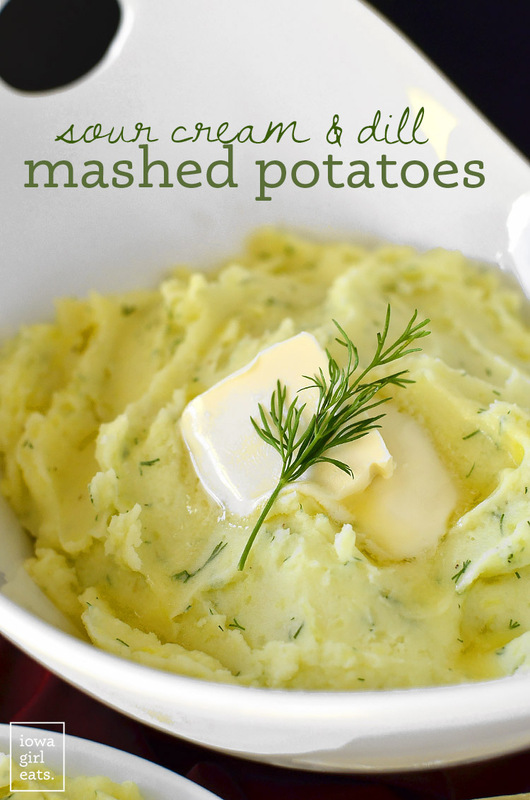 Sour cream and onion chip lovers – these mashed potatoes are for you! 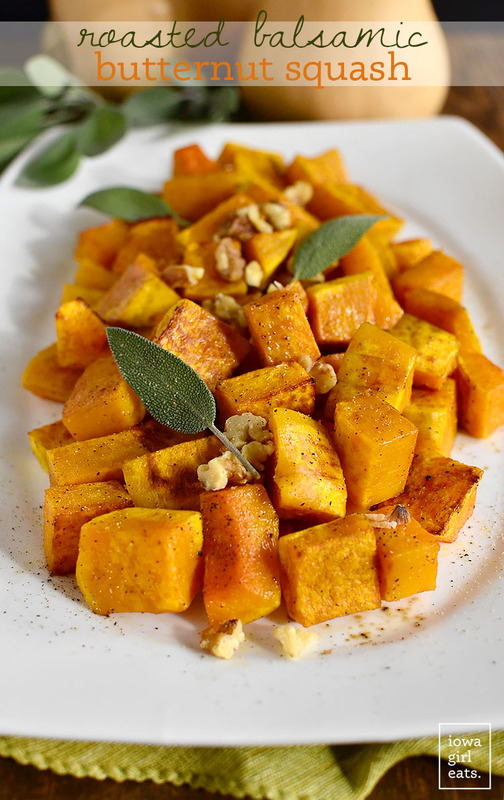 File Roasted Balsamic Butternut Squash under what you should make for a Thanksgiving side dish if you’re stressing over what to make for a Thanksgiving side dish! Slice the squash up a few days ahead of time then quickly roast before dinner. Couldn’t be easier or more tasty – or inexpensive if you’re looking to cook up a feast on a budget this year. Hey-oh! 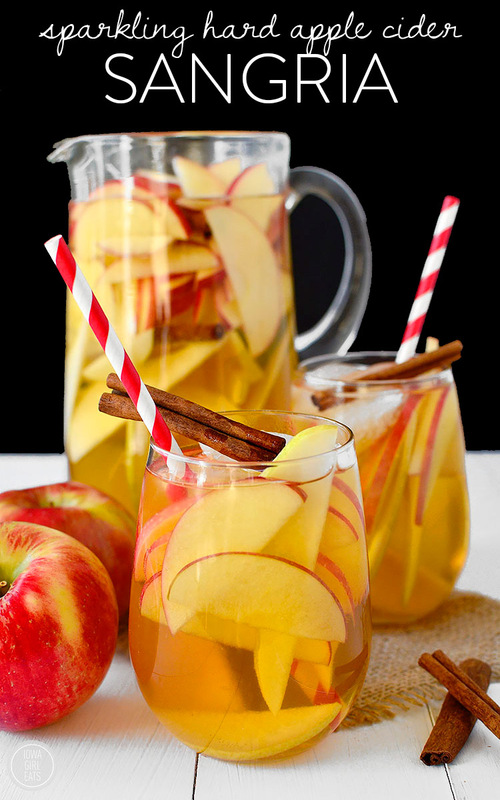 Sangria + cider lovers, you’re definitely going to want to mix up Sparkling Hard Apple Cider Sangria for cocktail hour this Thanksgiving! Not too sweet, just the right amount of bubbles, and well, what more do I need to say besides make a double batch. Great collection and think I’ve made almost all of theses!! Thanks for sharing so many great alternatives! Ohhh, so exciting! They’re even better than you remember. ;) Congrats, Jami! Thank you for saying you are having a hard time with a recipe!!! I’m in the throes of trying to make a pie crust…..3 down (bleh) and I’m hoping the next one will work! Wow, these are some of the best recipes. Seriously I wanna try everything and taste it. 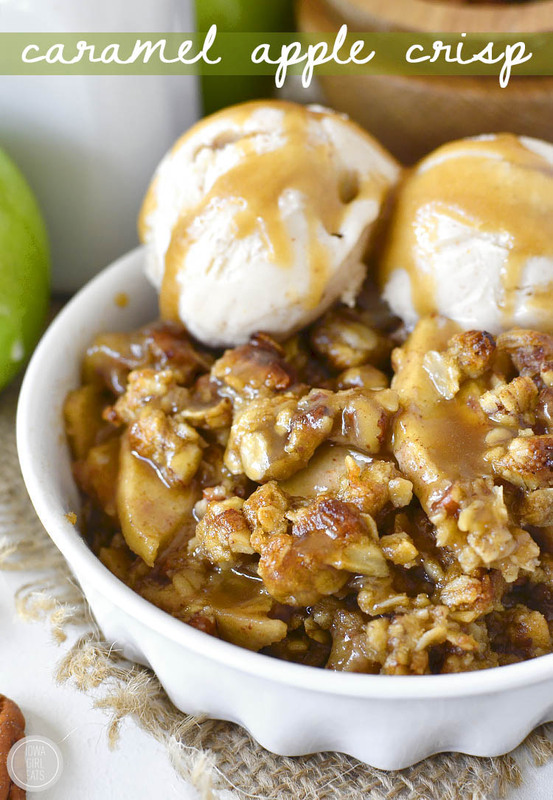 As I’m a dessert lover, surely I’ll try Caramel Apple Crisp with Easy Caramel Sauce desert. 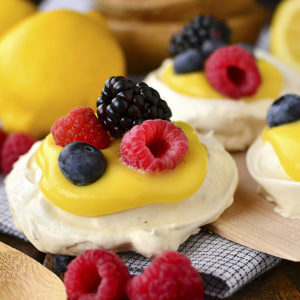 Thanks for sharing these awesome recipes. I’m hosting Thanksgiving for the first time this year (luckily it’s just six people total) so of course I’ve been doing tons of research while working on my menu and three of the recipes I settled on are from your blog of course: Lighter Green Bean Casserole with Crispy Shallots, Kale and Wild Rice Bowls with Honey-Balsamic Vinaigrette (testing it tonight! ), and Sparkling Hard Cider Sangria. I’m really excited for all of them because I have never been disappointed by any of your recipes. 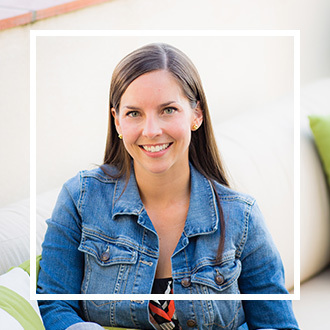 Thank you for being such a great resource! Thank YOU for such great feedback, Rosie! I hope the menu is a hit! Thank you from the bottom of my heart for all of your efforts. I was a little bummed about thanksgiving on a special diet, but this inspired me! 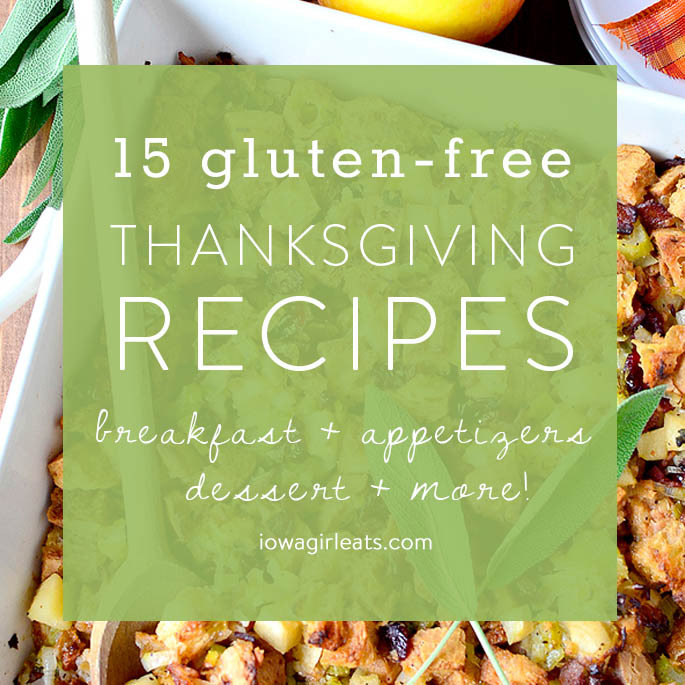 The list has saved me a lot of time as it is not easy to find great gluten free recipes for thanksgiving. 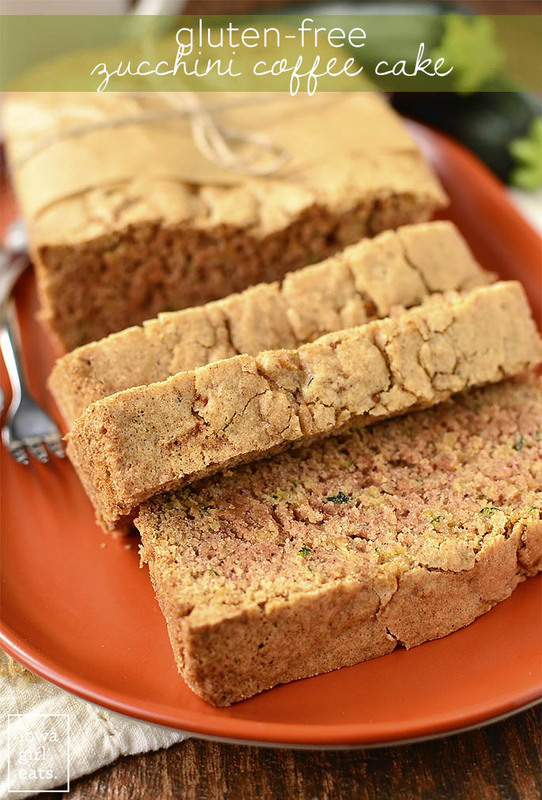 The zucchini coffee cake looks so delicious. It is on my must have list!